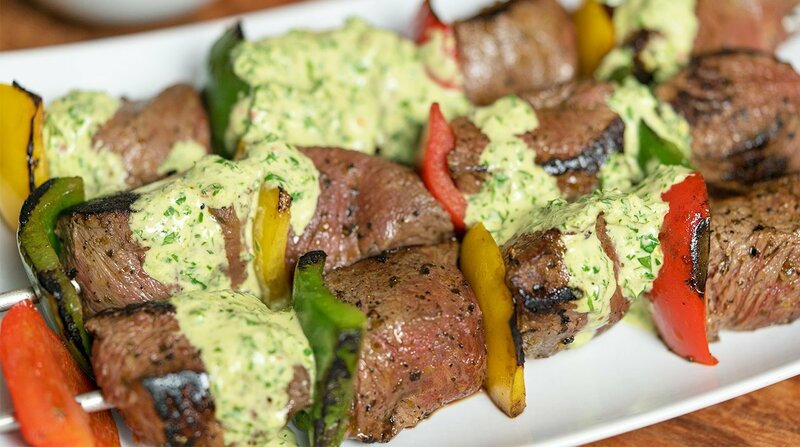 Excite your diners with creamy Chimichurri Beef Skewers. Marinate beef with oil and Italian Herb Paste, before adding to skewer. Roast Beef Skewer to desired doneness. Mix all ingredients into a blender, and blend till fine texture achieved. Fold the blended mixture with mayonnaise.